In the following simple solution, I cover the process of removing the (year, month, day) date from WordPress day and name based permalinks (post urls). There was a time when many professional bloggers recommended using a day and name based permalink structure. However, for present day SEO, many bloggers now recommend using simple name based or category and name based permalinks. 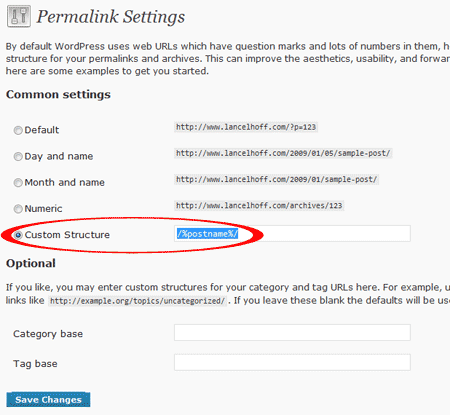 It is easy to change the permalink stucture itself in WordPress, but once this is done, any incoming links will need to be redirected to the new permalinks by use of a rewrite rule or you may risk losing your inbound traffic to the old permalinks or worse yet, lose previous page rank and index placement for those posts. * Replace yoursite.com with your domain name and wordpress with the subdirectory name if applicable.